Earn $6.49 in VIP credit (649 points)What's This? 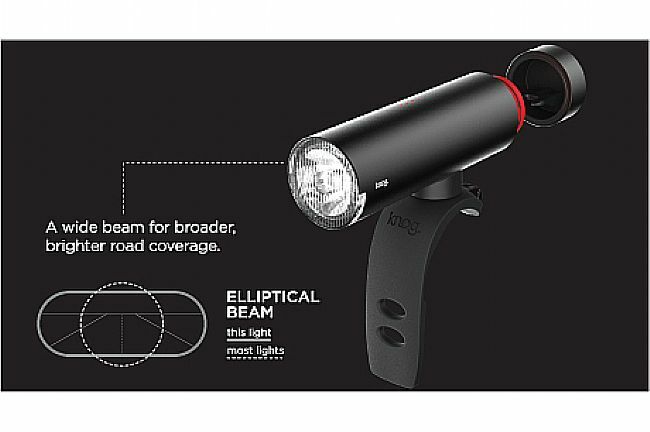 The Knog PWR Rider Front Light is more than meets the eye. Under its sleek cover, this versatile, sleek light not only provides a high-power 450 Lumen front light, it also features a hidden charging port. This light serves as a powerbank for your entire bike, and beyond. 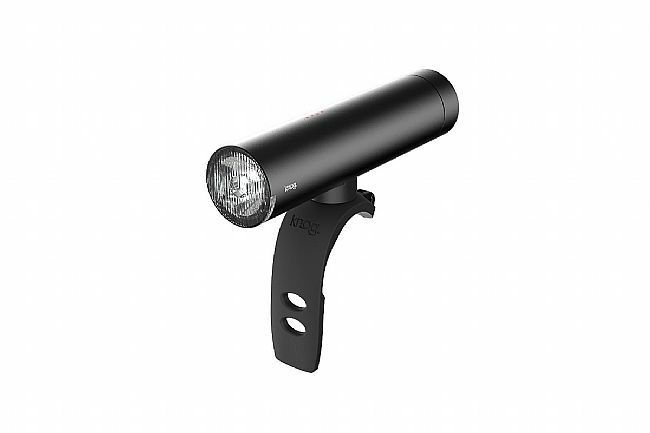 With a maximum output of 450 lumens, the PWR's elliptical beam provides a wide beam for maximum visibility. With 6 different light modes to choose from, the PWR offers a setting for nearly any situation, while providing up to 90 hours of battery life. 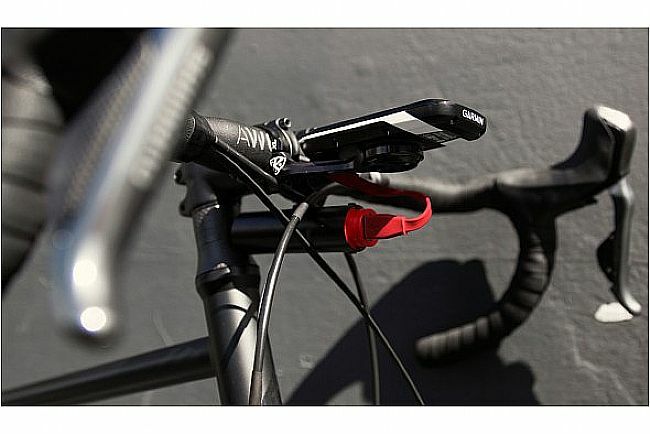 The Knog PWR Rider Front Light includes the PWR Rider Light, Silicone mounting strap, and a USB Charging Cable. 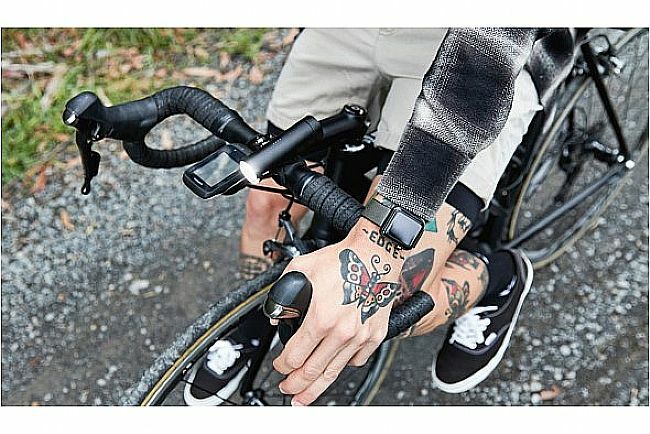 More than a light, this serves as a powerbank when the ride is done. 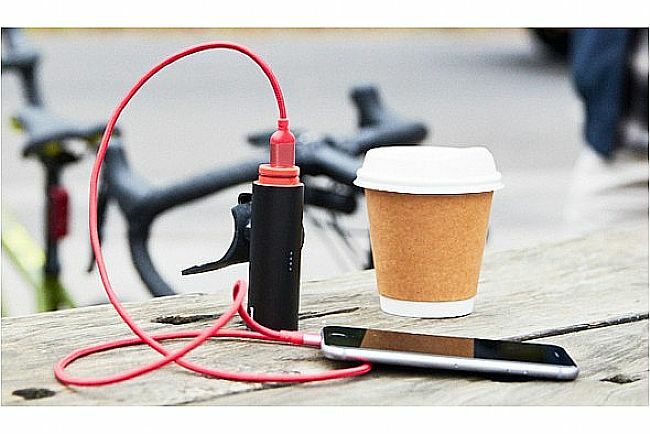 2,200 mAH Power Bank charge devices like cycling computers, phones, or other lights. Maximum output of 450 Lumens. Elliptical beam for wide view of road. 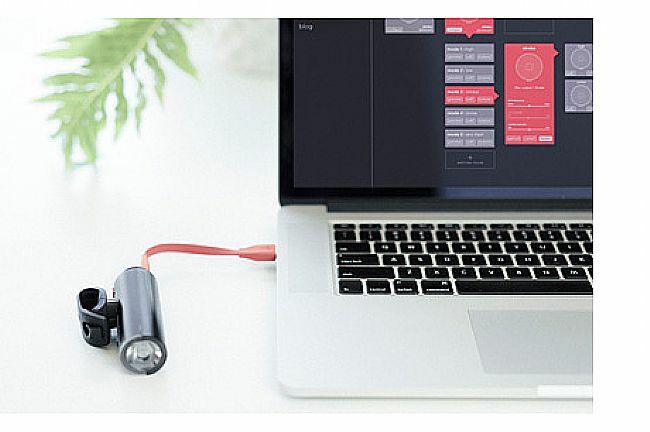 With ModeMaker app, design additional modes for any PWR light. Max: 450 lumens / 2 hours. Mid: 190 lumens / 5.5 hours. Stamina: 50 lumens / 16 hours. Pulse: 320 lumens / 7 hours. Strobe Flash: 190 lumens / 10 hours. Eco-Flash: 50 lumens / 90 hours.